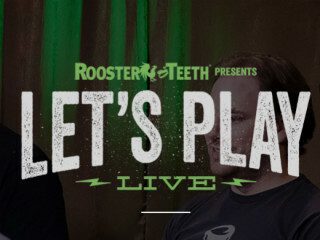 Let's Play Live is the newest form of gaming entertainment from Rooster Teeth. Set to premiere in February, Let's Play Live gives you the opportunity to see your favorite members of Achievement Hunter doing what they do best — having an awesome time playing your favorite video games. The team will be bringing their special brand of comedy along with some incredible surprises. VIP packages with exclusive access are available for purchase.